Ski holidays don’t have to go on hold when you start a family: airlines will happily take babies and ski resorts across Europe and the US have award-winning facilities for children whether they are a few months old or teenagers. We work with a number of tour operators who specialise in family ski holidays, or alternatively our experts can put together a bespoke package for you, with the right childcare to suit your needs, the right ski schools and the right accommodation to exactly suit your family. We can help you choose a family ski holiday package with the right childcare for your children; whether that’s a chalet specifically set up for families or arranging specialist nanny companies in resort to help you. We can recommend accommodation that has been specifically set up for families, by offering a range of services, from blended baby food and children’s tea, to nappies and sterilisers, bottles and evening formula milk, meaning you don’t need to pack an entire bag. Ski-in ski-out accommodation is the ideal scenario when taking children on a family ski holiday; not having to walk to the lifts cuts out a lot of time at both ends of the skiing day, and makes everyone’s lives easier. 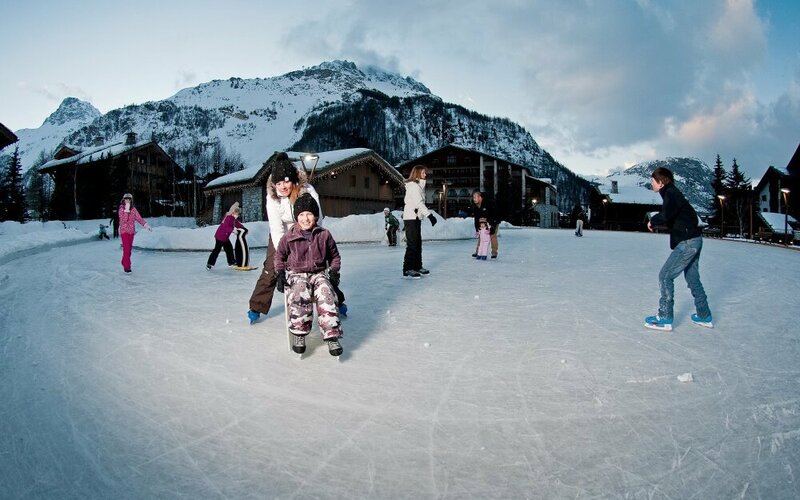 With older children, some family ski operators will also be set up with entertainment, such as Club Med, which offers a brilliantly safe environment for all children from toddlers through to teens. On a family ski holiday you can choose to spend as much or as little time together as you wish. 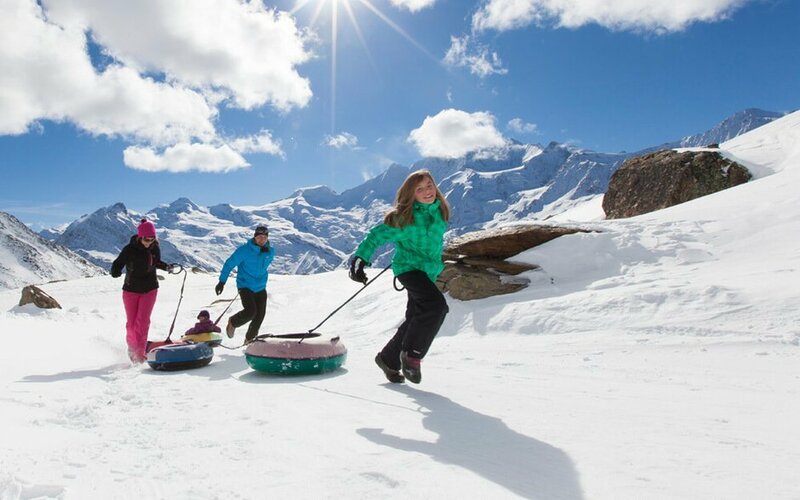 So whether you want to take it in turns with your partner, alternating between skiing and looking after the little ones, or if you prefer to put your children into a crèche or nursery while you have time to yourselves on the slopes, the options are endless. 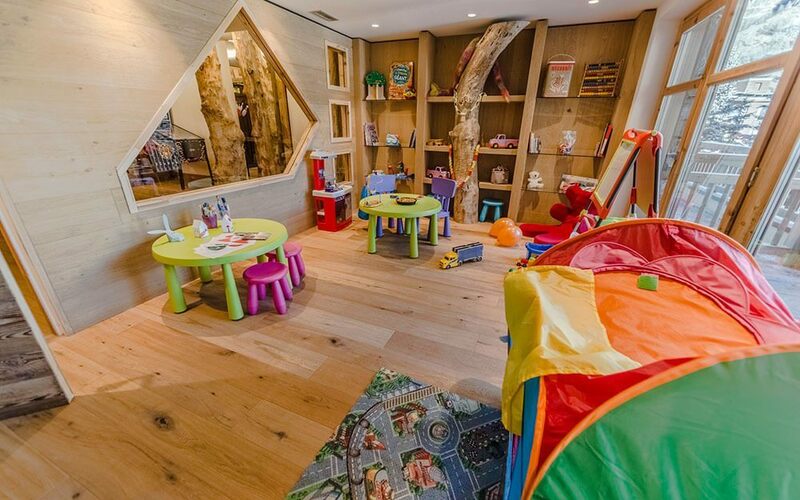 The best family destinations offer superb childcare options in resort, with nurseries and crèches attached to most ski schools. The age at which they will be taken differs, but three months old is a good guide. 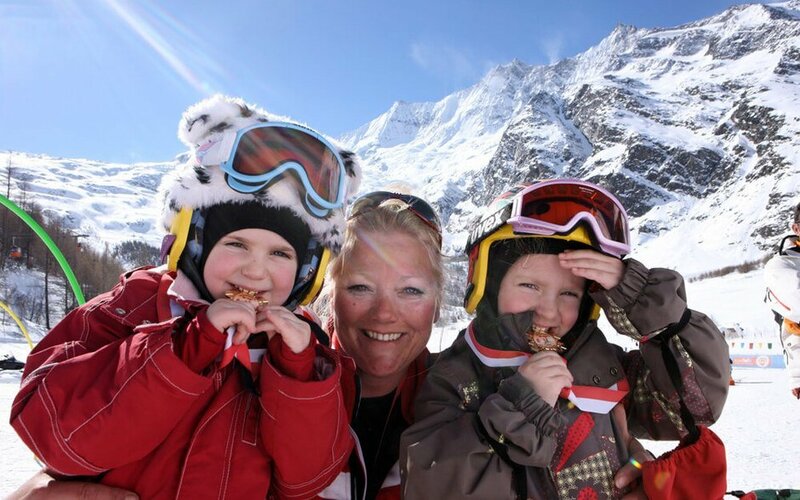 If you pick a family ski operator, their team will deliver your children to the nursery and pick them up at the end of the day, so when you return from a day on the slopes you’ll find your children happily eating their dinner. If you are choosing an all-inclusive package for your family ski holiday, babysitting and baby-listening services are often included or can be pre-booked as an optional extra. These companies will offer kids teas earlier than adult suppers (they will be hungry when they come in from the slopes) and nursery staff to help feed your children if you’re out enjoying some après ski. Many resorts will have independent companies that offer nursery and babysitting services with qualified childcare experts. This is a good, flexible option for parents who want to spend the odd night alone. We know the resorts that have these services available and can recommend companies we know and trust so we can pick the right service for you. If you’re staying in a self-catered apartment, using an independent company could be the perfect option for you. 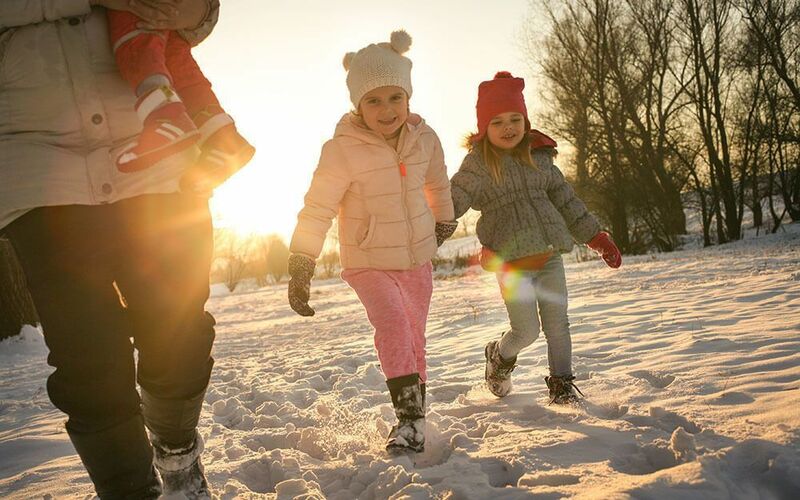 Finally, with childcare forming such an important part of a family ski holiday, if you have a nanny or trusted babysitter at home it’s also worth considering taking them with you. Having a nanny who is familiar to your children, and someone in whom you have trust and feel completely comfortable will make a big difference to your peace of mind if you plan to head off for a day on the slopes alone. We can help to advise you on the best ski resorts and accommodation options to ensure you find the best option for you and your family. Once you’ve booked our expert client services team are on hand to book or advise on any extra childcare services too.